Clean Elections was supposed to keep big money out of public elections and give us better state government. Is it doing its job or just making things worse?. I ENTHUSIASTICALLY VOTED TO CREATE THE ARIZONA CLEAN ELECTIONS SYSTEM in 1998 because, like a majority of Arizona voters, I wanted to open up the election system to more than the Chamber of Commerce toadies and the usual fat cats. Call me strange, but I’ve never felt democracy belonged only to those who could buy it; therefore, I was the perfect supporter for a new system that said money would no longer be the deciding factor in Arizona elections. Arizona was a leader in this “government reform” movement, joining Maine as the nation’s first two states to say you don’t have to be rich to run for public office. Since then, Connecticut and Wisconsin have come on board, and there’s even talk of a national system for congressional candidates. Clean Elections promised three improvements: limiting the influence of special interest money, giving voters more choices, and helping new faces compete against the power of incumbents. What’s not to love in that list? Clean Elections candidates don’t do any fundraising – they get their money for both a primary and general election campaign from a state fund created by a special fee tacked onto court fines. All you had to do to become a Clean Elections candidate was collect a specific number of $5 contributions (220 for the Legislature, around 1,600 for statewide office). You don’t have to run as a Clean Elections candidate. You can still do the normal fundraising, and these candidates are called “traditional” (the compromise word that avoided the perceived parallel of “dirty election candidates.”) Clean Elections doesn’t restrict the fundraising of traditional candidates, but it does kick in “matching funds” for Clean Elections candidates when their opponents outspend them. It’s also been popular with politicians of all stripes: 70 percent of the state’s sitting lawmakers used Clean Elections at one time in their careers, mostly in their first run for office (including some who are now Clean Elections’ biggest opponents). 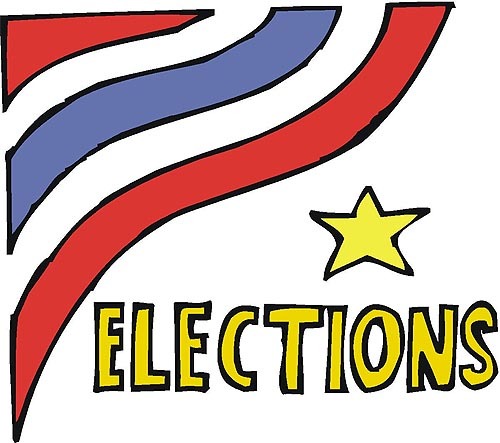 For statewide office, eight of the 11 office holders used the Clean Elections system. And how about this: The number of female candidates running is up 34 percent since Clean Elections went into effect in 2000. But a decade into our grand experiment, there’s a full-court press to eliminate Clean Elections – or at least make it gutless – in a year where multiple contests will be on the ballot. The assault on Clean Elections started almost immediately after voters approved it, coming from conservative circles that find this kind of election reform distasteful. They offer many reasons, but it boils down to money – Republicans are tied to the business community that loves to finance elections, so they oppose anything that restricts their grab into that piggy bank. Democrats embrace this kind of reform for precisely the opposite reason – they want to counteract the political power of business money. Clean Elections has withstood dozens of lawsuits challenging it on every front. Pending at press time is a lawsuit filed by the conservative Institute for Justice and the Goldwater Institute, which are attempting to eliminate the “matching funds” provision on the basis that it is “an assault on freedom of speech.” They contend that it “chills” a traditional candidate’s ability to speak if he knows an ad that goes over the spending limit will prompt more money for his opponent. The state counters that this amounts to freedom of speech belonging only to those who can buy it and says the suit really seeks “freedom from rebuttal,” charging opponents only want their side heard. Expect this to go all the way to the U.S. Supreme Court. And in the last few months, I’ve been hearing my Democratic friends say the exact same thing: Just look at the Legislature and tell me this is reformed government – yeah, it reformed it into a rat hole. When you’ve got Republicans and Democrats both saying Clean Elections has resulted in some ugly “unintended consequences,” you’ve got a political groundswell. Like most Arizonans, I feel their pain. Who isn’t embarrassed at our Legislature? Think about that for a minute. The flashlight didn’t create the cockroaches, it just lets us see them. Interesting point. So I went searching for an intelligent debate on this issue to see if maybe my vote a decade ago wasn’t such a hot idea. The one voice that has raised the most eyebrows is former Democratic State Chairman Jim Pederson, who helped bankroll the campaign to get voter approval of Clean Elections in Arizona. He recently told the Arizona Daily Star in Tucson, “I really thought it would open up the process,” but now he considers it a “mistake” because it has spawned more partisanship and extremism. Senator Ken Cheuvront, D-Phoenix, told the Daily Star, “Some of these people who are ideologically oriented would never have gotten the resources to run if it weren’t for Clean Elections.” He says he wouldn’t be sad to see it go. For the most balanced viewpoint of Arizona politics, I turned to Dr. David Berman, a senior analyst at ASU’s Morrison Institute for Public Policy. He says he finds it amusing that people don’t like election “reform” unless it “reforms” the system to favor them. He’s right. Of the 30 legislative districts, 26 are considered “non-competitive” because the voter registration favors one party. Therefore, the winner of the primary election will automatically win the general election. Republicans complain their “fringe groups” control the primary, and that’s how the wackos get in. I have to agree. I’ll take Clean Elections and its wide variety of choices over the old system where big money was in control. I stand by my vote of a decade ago.